These little muffins were a hit with baby Ruby and her baby friend Felix. 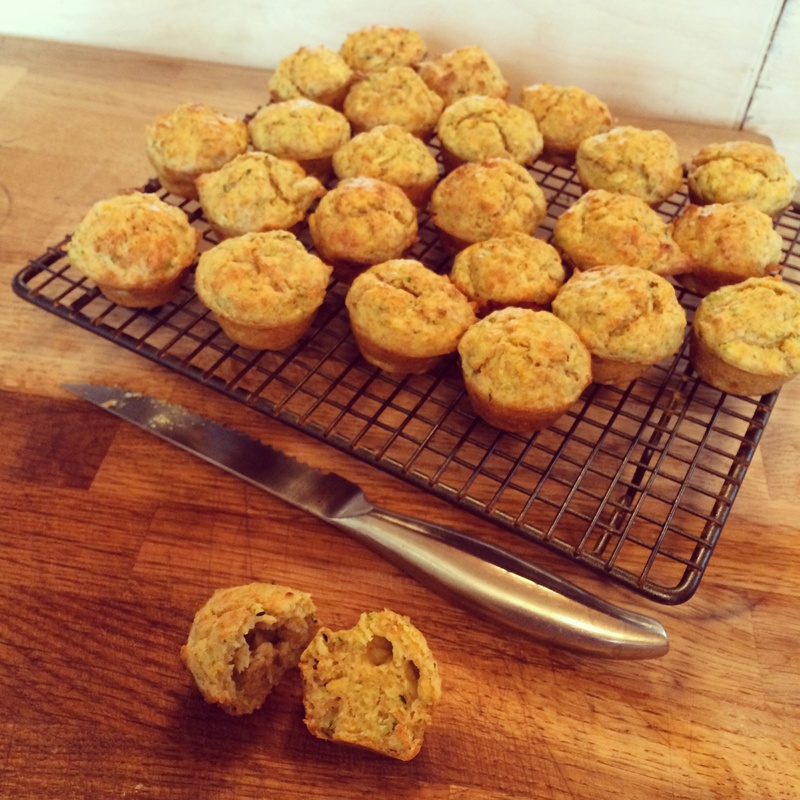 2 cups of plain brown flour, half tsp baking powder, 1 cup oat milk, quarter cup of olive oil, half cup of cheese, 2 cups of grated carrot & courgette, 2 eggs. Lightly spray cooking oil on to 24 mini muffin tray. Leave to cool before you devour the whole lot. Next time I make these I will try adding a bit of paprika and may swap the olive oil for coconut oil too … You could try other veg too! Let me know if you come up with any delicious combos. This entry was posted in Baby led weaning, Recipes we love ... and tagged baby led weaning, Baby recipe, carrot, courgette, healthy snack, Mini muffins, Savoury baby muffins, toddler food. Bookmark the permalink.